CO.CC is a domain name company that offered you free domain name which include DNS server and many more. Well, this service is pretty awesome. Atleast for anyone that is not ready yet to pay for domain name. What u need to do is click Getting A New Domain >>. 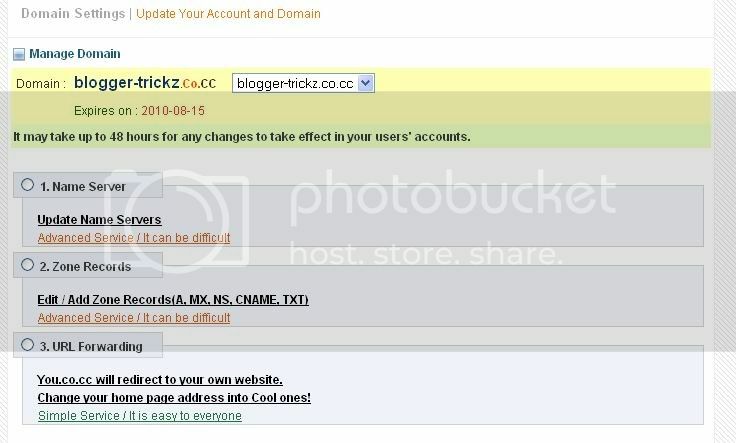 Now choose domain name and click Check availability.U domain name must be unregistered by other people. 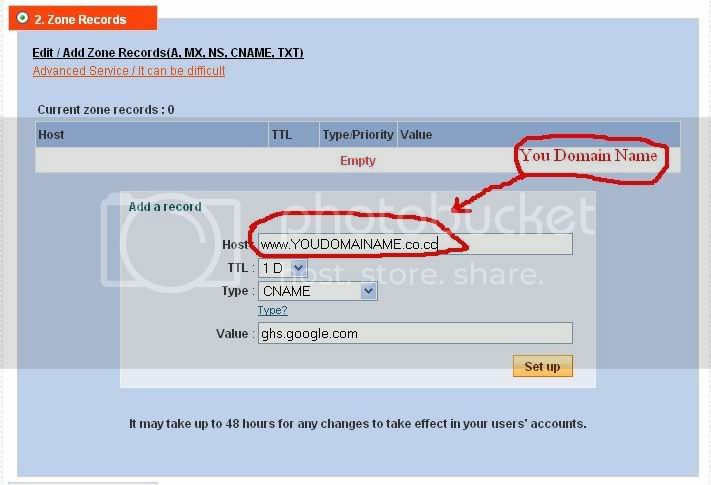 If u domain name available,just click the Continue Registration.U will recive message like this You New Domain Has Been Successful Registered.Click set up. In TTL : No Need To Change ! 3. Now u need to open u blog.On the Dashboard go to Setting>>Publishing. Click Switch to Custom Domain >> Switch to advance setting. Write down u new domain name. And Save Setting. 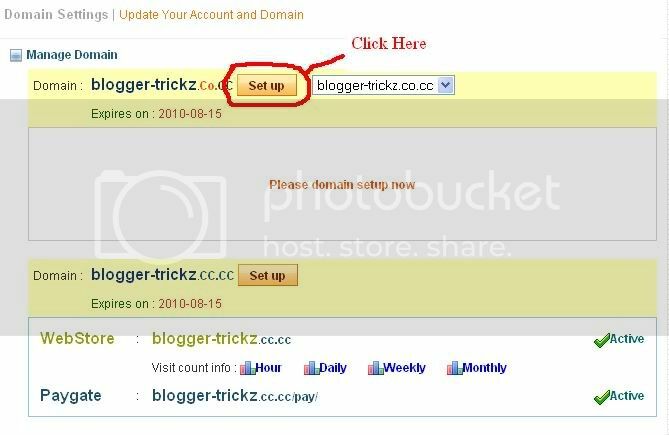 Now u must wait 2-3 hours or in couples day to get u domain name working,but dont worry u also can access u blog using old domain name.